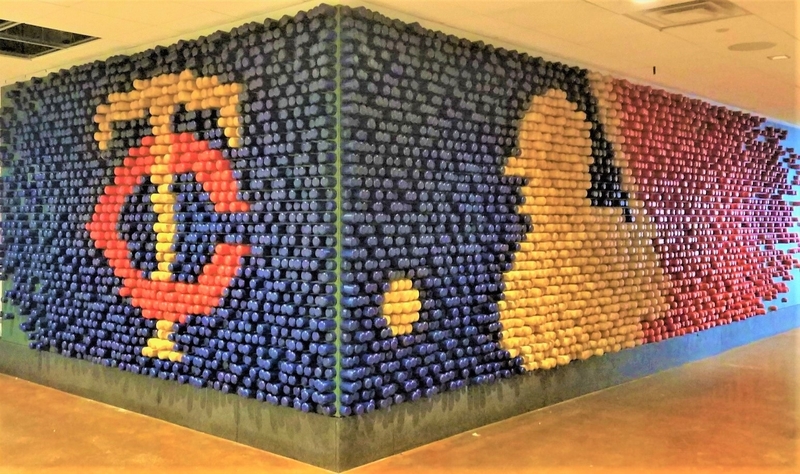 The Minnesota Twins were looking for a fun wall installation in a corridor of the stadium. Something that would attract attention and would be a fun photo op for fans. We fabricated over 5,000 bat ends that were sanded and painted. When put together, they formed the official MLB logo and were installed in the stadium. The design was provided to us by our agency partners. We were tasked with streamlining production so each bat was consistent in quality and could be fabricated in a timely manner. We installed the wall so that it was durable and the bats would not come loose over time.